At the age of 70, it's not yet over for John Williams. He's still willing to get inside the cage to inspire other people. Williams is serious in leaving a legacy. John Williams’ MMA fight this past weekend wasn’t a gimmick, if that’s what you think. 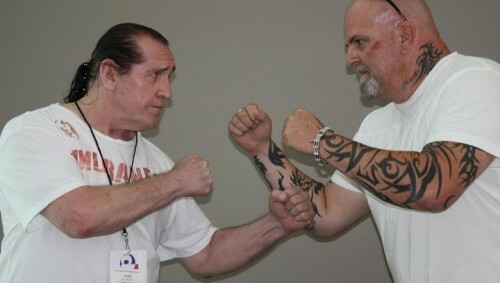 The MMA bout between the 70 years old man from New Brunswick, Canada and 49 years old Larry Brubaker was a serious business. There’s a good reason why he wants to attract the headlines. “I was trying to bring attention to the fact that when a person becomes a senior, society kind of pushes them out of the loop,” said Williams. As someone who boasts himself as man of action, being useless is one thing he couldn’t stand to be. Sure he’s not the only one to feel this way, but he’s the only one to combat the feeling. This wasn’t just an idea that popped into Williams’ head though. It was a five year quest with roadblocks hitting along the way. There was the issue of licensing, to begin with. The local athletic commission wasn’t eager to let him fight, even during his young age of 65 then. The officials saw him as a liability, despite the fact that he’d been competing in one form or martial arts to another since he was seven. In order to prove that he’s physically fit for the tournament, Williams submitted to any medical examination that he can think of. Still, no one wanted a senior inside the cage. His discrimination approach worked and that’s one problem out of the way. The next problem is finding someone willing to fight Williams. According to him, nobody wants to fight him because it’s a no-win situation for other fighters. If they win, others might think that they beat an old man. If they lose, that would be embarrassing for them. But just when it’s starting to become hopeless, a candidate revealed himself. This, turned out, is all they need to get two fighters inside the cage. But Williams need to put on about 20 pounds since Brubaker was heavier. It sure hurts Williams’ quickness and cardio, but it’s a necessary consequence in this case. The fight itself was a bit blur for him, but what he remembers is how it made him feel to get in the cage. This isn’t Williams’ first world record, but setting this particular account was much for himself. He wanted to get people up and moving, but he has selfish reasons too. For him, time is running out and there’s nothing he can do to stop it.